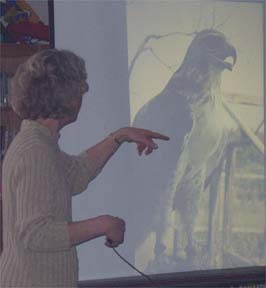 Yesterday two women came from Wings of Wonder and told us about raptors. Every year they get around 75 birds that need help. One day at school two people came in. Their names were Rebecca and Janice. The showed us pictures of birds. They work on birds that have been hurt. She helps owls, falcons, vultures, and a lot of other birds. Her favorite bird is the turkey vultures. 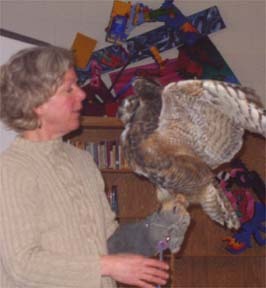 They brought in real birds like an owl, a baby owl, and a falcon. I saw a big owl and her name was Sage. I saw a baby owl. I saw a falcon. I saw an owl. I saw two owls. One was little and one was big. Their names were Sage and Otis and they were so cute. I saw their talons. I saw a little owl and I saw its talons. I saw a big owl. I saw a little owl. The other day we had a person come in and tell us about a group of bird. The group of birds was called Raptors. There are many different kinds of birds in the raptor group. My favorite one is the little screech owl. Even when it was full grown it was still a tiny little bird. 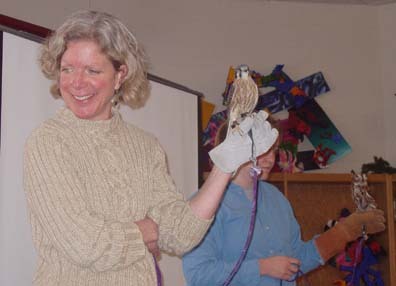 When she brought out the birds we had to be really quiet and not say bad words like "yuck". It was really cool to have someone come in and tell us about those birds. I saw big wings and a big owl. The owl had 1 blind eye. His name was Sage. Yesterday we watched Rebecca and Janice do Wings of Wonder. They take care of injured raptors. She talked about talets pelits and more. They showed us three birds. I cant pick. Their names are Sage, Odes, and Ruby. I saw a real falcon. I saw a little owl too. I saw an owl in school. I saw a falcon. I saw an owl and I saw its talons. I saw a falcon and I got to touch a wing. Some people came in from a place called Wings of Wonder. This place took care of sick birds and injured birds. The assembly was cool because there were birds claws on the table. The group of birds we learned was called the raptors. They are a cool group of birds. One of the birds in the group was a turkey vulture. They are scavengers they eat dead stuff like dead road kill. Road kill is nasty stuff that it is dead like skunk. Falcons are fast flyers. They are the fasted animals in the world. It can reach up to 280 miles per hour. If they are going for a grouse and they miss it and hit the ground at that speed they could get killed are badly hurt. 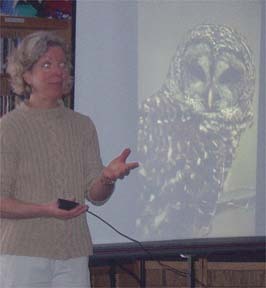 NOTE: Wings of Wonder is a non profit charitable organization whose mission includes educating the public about wildlife, conservation, ecology and current environmental issues, with a focus on raptors. The organization also rehabilitates sick, injured and orphaned raptors with the goal of releasing healthy individuals back into the wild. Finally, Wings of Wonder increases the over-all knowledge of wildlife rehabilitation, regulations, and education methods through fieldwork, networking, and research. 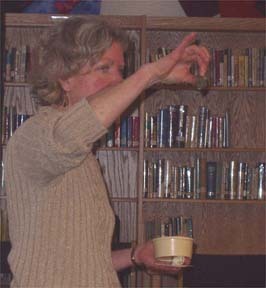 Rebecca Lessare presented at Onekama Elementary. 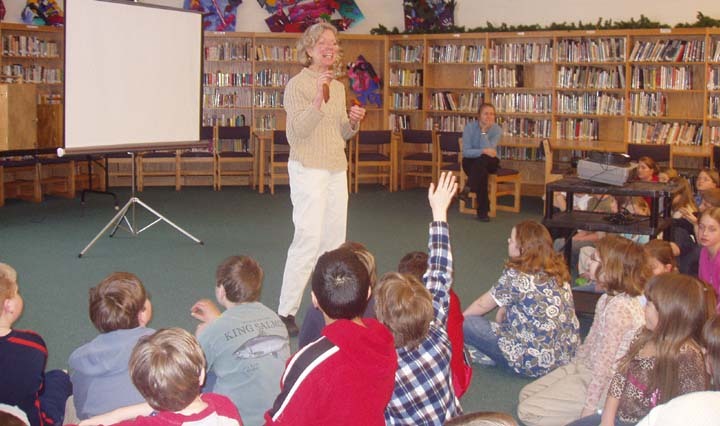 One day our class went to the media center to see birds. The girl who brought them in was Rebecca Lessard and assistant Janice. They both work at the Wings of Wonder. 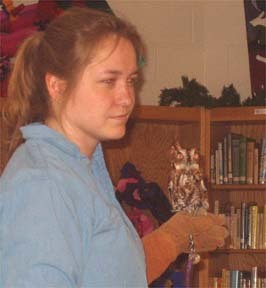 Rebecca brought on Adult Owl, a teenager owl, and a falcon. 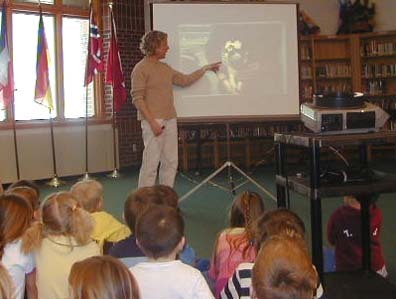 March 21 the whole elementary went to the Media center to see wings of wonder. I learned that birds like owls and vultures are called raptors. 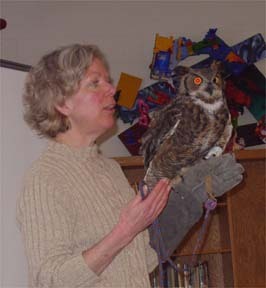 I also learned that owls dont fly fast because they have things on there wings that make them silent when they fly. I learned that vultures vomit their food when an animal like a wolf comes, and it smells so gross that it leaves. That is what I learned from them. Yesterday we got to go and see people that work with raptors. They work at the winds of wonder. They said they get about 60 to 75 birds a year. 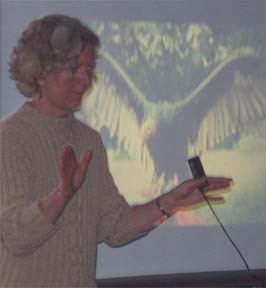 She talked about their talons and what they can do to you. The people also showed us a move about the raptors. They showed us real raptors. 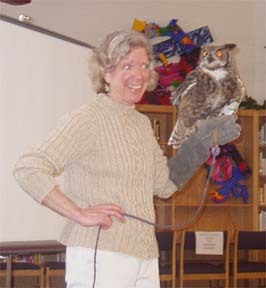 One was a great horn owl.